You like cupcakes and hamburgers, right? 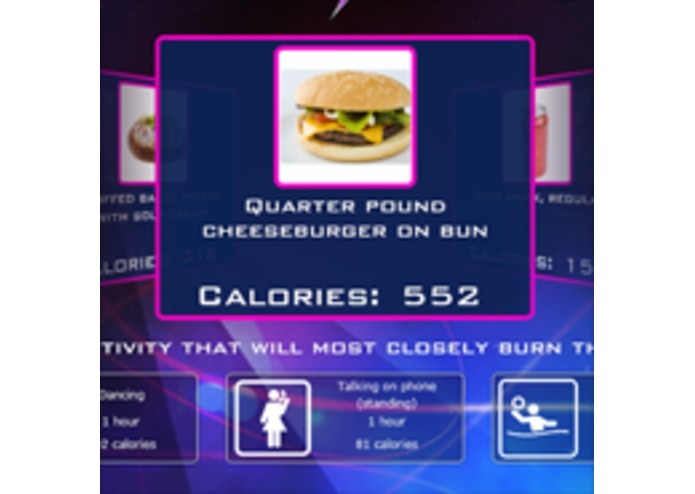 But, do you know how much exercise it would take you to burn the calories from those foods? Energy Balance is the fast-paced matching game that helps you remember that if you eat a bowl of spaghetti, then you should go dancing instead of lying down on the couch to take a nap.